British architect David Chipperfield has created a modular workstation, made using traditional joinery techniques, for German furniture company e15. Launched at this week's IMM Cologne trade show, e15 said that the Basis modular workstation is a "smart and casual" desk system designed to cater to the needs of modern living and working. 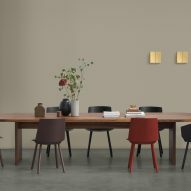 The desk design is an evolution of the Basis trestle table, which Chipperfield designed for e15 in 2017. 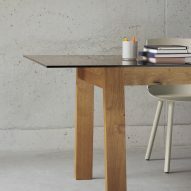 With a simple rectangular top made from wide flat planks of European oak, the desk is supported by matching flat legs that are angled slightly outward. 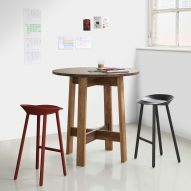 The Basis workstation collection also has a high table with a square or round top so that it can be used in private and public spaces. "Focusing on the needs of creative and functional work environments, Basis workstation is a smart and casual desk system stripped back to the essentials while featuring the pure use of material and craftsmanship," said e15 of the reduced design. "It does not interfere with or redefine work habits, yet it facilitates different styles of working." 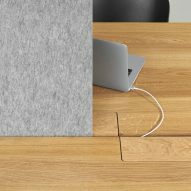 The tables are designed to stand individually or be grouped together in offices. 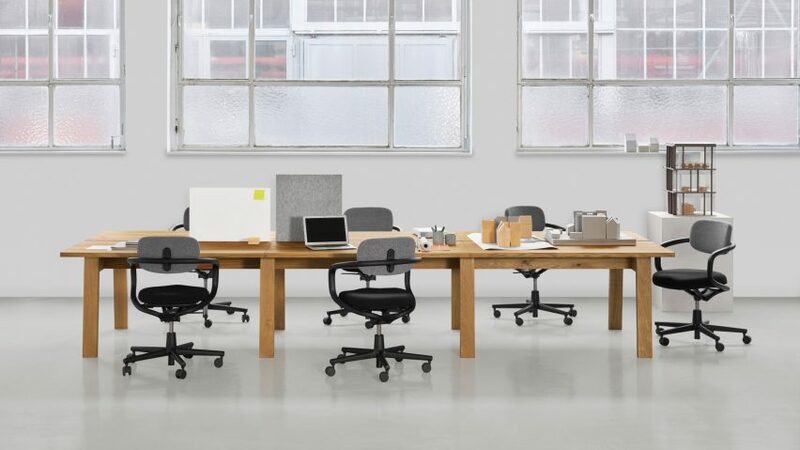 "Offering flexible solutions for the home or office, it is designed to allow solo work as well as collaboration by combining any number of individual desks to work islands," e15 added. 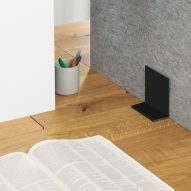 Chipperfield's pared back design also features various wire management options along its central spine, as well as optional privacy partitions that double as acoustic barriers and magnetic pin boards. 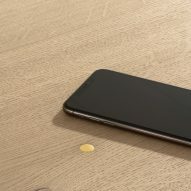 These can be arranged both lengthways and widthways and integrated into the system without the use of additional hardware. 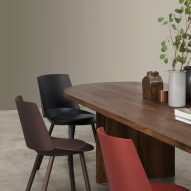 The Basics workstation was debuted at this week's IMM Cologne, which takes place in the German city from 14 till 20 January. It is being showcased alongside other new launches by Philipp Mainzer, Farah Ebrahimi and Stefan Diez. Previous collaborations between Chipperfield and e15 have resulted in an equally restrained wooden coffee table and sideboard and a solid wood table, bench and stool.